Who knew that an Android live wallpaper would bring out my inner Prince? 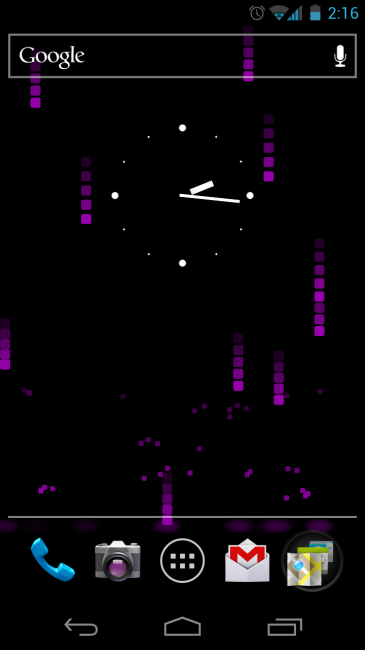 So, Pixel Rain is by no means a new live wallpaper, but it’s one that every person with an Android phone should know about. It’s free in the market, gives you an excuse to shout out “I’m makin’ it rain!” at the club, and turns your phone into all sorts of wet ‘n wild pretty. The customizations here are as extensive as most of the other top tier live wallpapers, yet again, this one costs you nothing. Grab it, folks.